I love gifting sweet treats at Christmas time but this year I wanted to send something a little more shelf-stable to my out of state family. 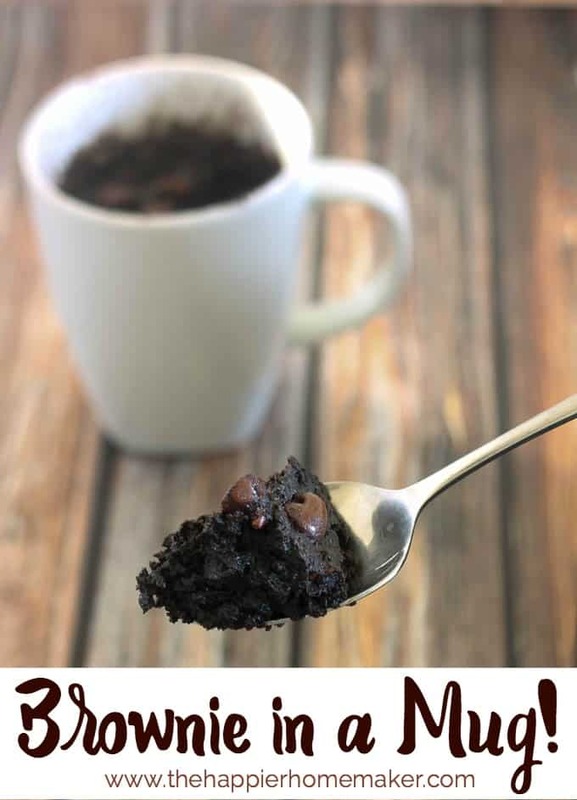 I had recently made my favorite Brownie in a Mug Recipe for my husband and as I was mixing it up I realized it was the perfect thing to make in bulk and gift! 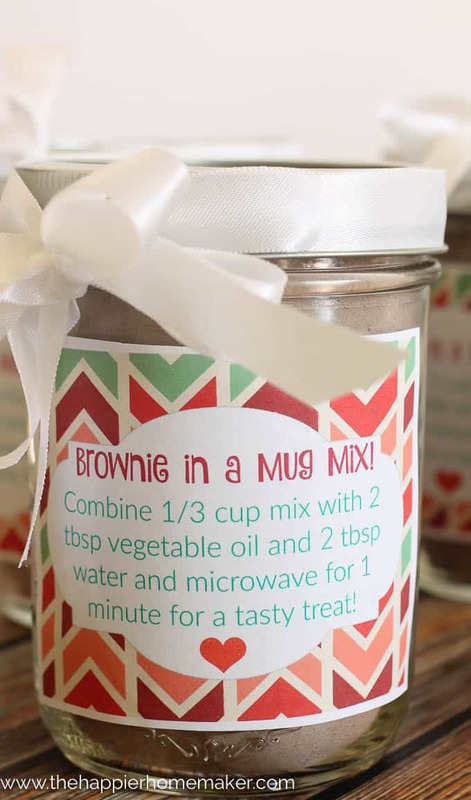 I am sharing the single serving recipe with you today along with the conversion for making it in bulk for gifts, and I’m even throwing in some printable tags to boot! Merry Christmas to you! 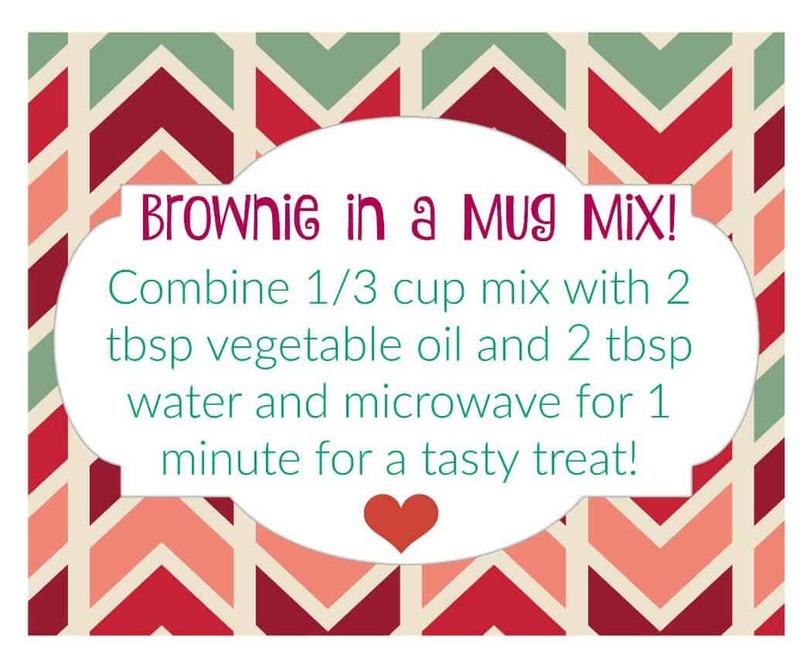 Mix all ingredients in a mug (batter will be very thick.) Microwave for 1 minute and enjoy! This mixture makes enough to fill 6 pint sized mason jars. 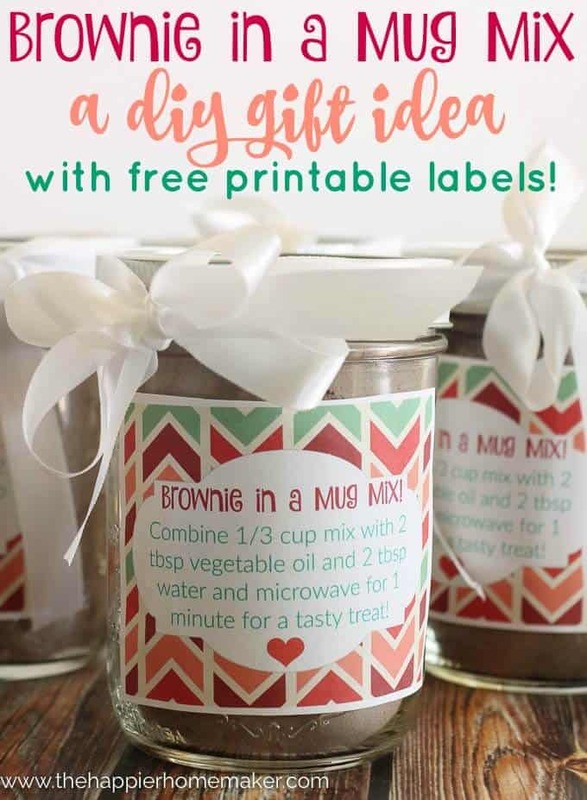 Scoop into mason jars or whatever container you prefer and gift with these printable tags. “Brownies” taste awesome but they are very much a cakey brownie. Mine looked and tasted like a brownie flavored cake, but drier. Still good, but not what I was expecting. Yum! This will definitely cure my brownie craving. Sometimes, making a full pan is annoying when you only want a few bites. 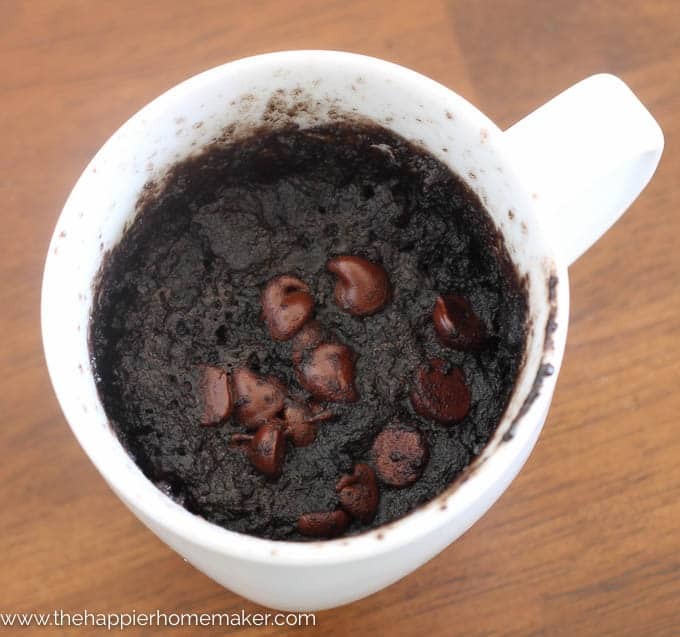 Thanks for sharing the mug mix recipe, too! How will you get through? Oh how will you go on? You might want one nightly! Melissa – Can you tell me why the individual mix takes 3 tablespoons of water but the large mix takes 2 tablespoons? Great thanks! If you have any other jar mixes I’d be interested in hearing about them too:) … especially ones that create super moist bakery in a mug/microwave. 1) How can we make the brownie less dry? Would 50 seconds in the microwave do the trick? 2) idea: mix black after batter, pour it into a mug, press a Reese’s PB cup into the center, cover with batter and bake in the microwave as prescribed. Does anyone know if a regular salsa jar could produce the same kind of results as does a mug? How long does the mix last? I wanted to give it for a friend. My roommate and I are looking for a mix like this that we can just add water to in our dorm room. Is there something I should try to mix in instead of the vegetable oil? We don’t usually keep that in our room.